There are as many ways to celebrate the joining of two people as you can think of. Probably there are even more than you can imagine. No matter if you are going traditional or modern, religious or not, the basics of the ceremony remain the same. It is the joining of two people committing to each other. You basically chose the style, decide on some custom touches and work with your officiant to put it all together. 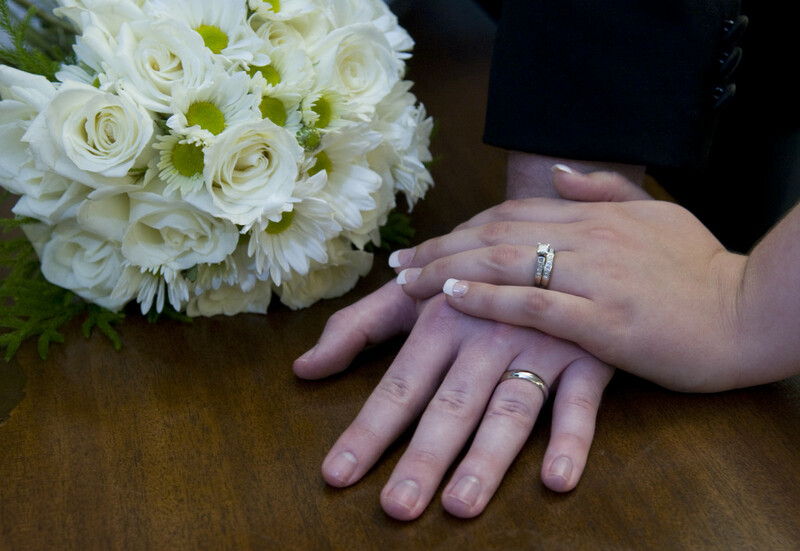 The Vows-They can be written by you or as a part of a formal ceremony. Make sure that if you are doing your own vows that you are comfortable reading or saying them. This is an important moment for both of you, So if you think you might get emotional or nervous, you are better off having the officiant reading them and a simple "I do" with less pressure is just fine. The Exchange of Rings. There is a traditional form of exchanging rings that might be part of a formal ceremony. There is also a more modern version. Speak to your officiant about possible options. 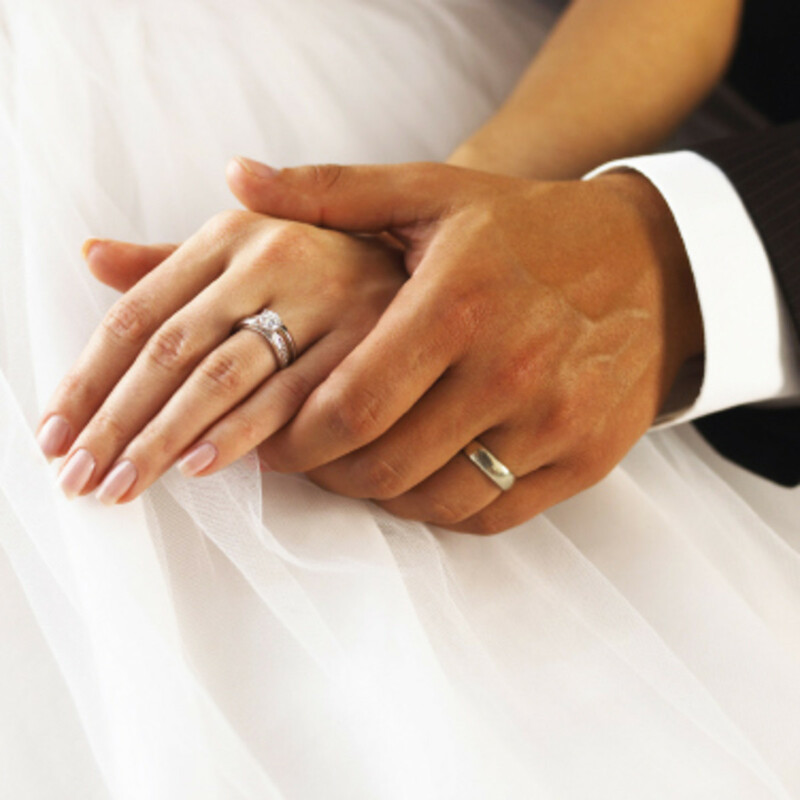 Often, even if not held in a house of worship, prayers for the new couple are offered. These may be part of a formal religious service or just as part of ceremony. They can be at any time in the proceedings. The blessing is more often than not, at the close of the ceremony. Readings are often from a Bible, the Koran or other religious book. However they can be a favorite passage from a book, or a poem that has special meaning to the couple. Make sure that the person doing the readings or poems will have a crisp clear voice and is familiar with the passage. The music is your choice, but should be coordinated with the type of ceremony you have chosen. If you are in a house of worship, there may be some restrictions, so always confer with your religious leader ahead of time to be sure that the music you are considering will be appropriate. You will also need to understand the additional costs of an organist, pianist or any other soloist or group you may want to participate. Other than those limited restrictions, the rest is up to you. Hello, Looking for something modern to say when we exchange rings. Great ceremony samples to help couples with wonderful wedding ideas. Choose from several ceremony styles, and enhance your ceremony with these great add-ins. Unity ceremonies have been a significant part of wedding ceremonies for centuries. That part of your wedding ceremony celebrates the joining of two families into a new one. There are so many options when it comes to unity ceremonies. You can incorporate almost anyone in your family to be part in this tradition. Mothers of the bride and groom often have taken part by lighting the two side candles in the traditional candle unity ceremony. Children of the bride and groom are often used , especially where there is a second marriage. You can take any unity ceremony and customize it for your own use. There are more than one way to celebrate the unity of a couple at their wedding ceremony. The first thing that comes to mind is a unity candle ceremony. But sometimes there are places where candles are noit permitted. So celebrating, your upcoming nuptuals, here are a few ideas for you to consider. 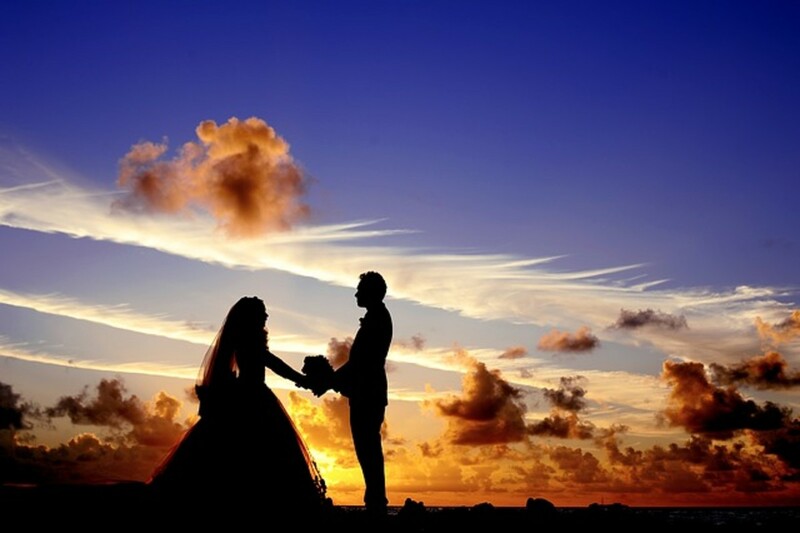 Adding one of these ceremonies to yoour wedding will make a memorable event for you, as a couple and for those you love. Remember, any tradition can be a memorable part of your wedding, no matter what where it started, if it's meaningful to you ! You can purchase a special unity candle set. That will include a pillar candle holder with connecting taper holders. They often come as separate pieces. This is nice since you can use them as home decor later on. You can also use a pillar candle holder and a set of candlesticks that may be family heirlooms. These will also have special significance and can double as your " something borrowed ". Make sure to be safe with candles for your unity ceremony. Check with your church or wedding venue ahead of time to make sure that they allow candles. If you are having an outdoor ceremony, you may want to use sets with glass to shield the flame from blowing. Another option is to join together in a water unity ceremony. This is a great alternative where candles are prohibited. In this ceremony, two containers filled with colored water are used. There is one larger container in the center. The two containers represent the bride and the groom, They pour the two containers into one one to represent the end of their separate lives and the joining of their lives together The two separate colors join together to form an entirely new color. The two colors can never be separated again. You can use three vases for this ceremony. They come as a matching set that you can purchase. You can also find two thin vases and one larger and wider vase for the center. You will want to have the water in place before the ceremony. If you don't want to risk spoiling your clothes with colored water, another alternative is the sand ceremony. This ceremony is usually done after the exchange of rings. Two containers are filled with colored sand. There is a larger container. 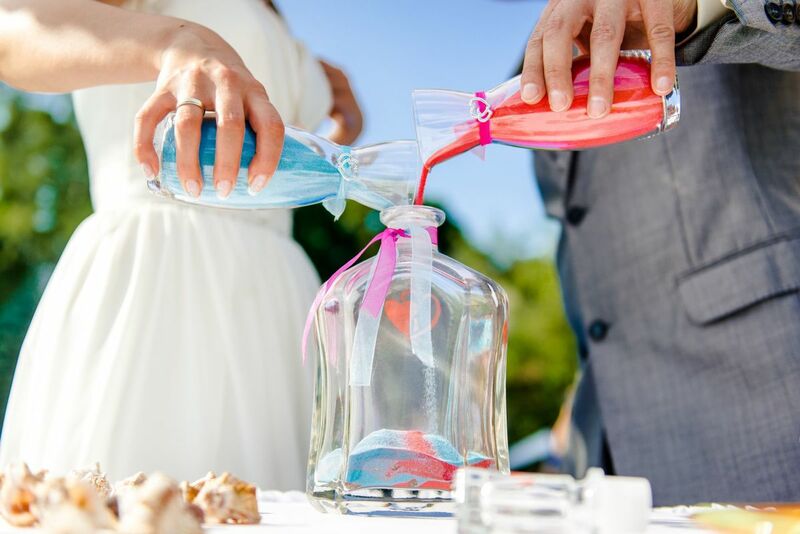 The two colored sand vials represent the bride and the groom. The larger vessel is their two lives together, Alternatly, the bride and groom fill the larger vessel with their sand. The sands mix together and those grains cannot be separated.. Different colored sand to fit your theme is readily available in craft stores and on the internet. This is a good option for anyone having an outdoor ceremony or in a location that does not permit the use of candles. "Just as these grains of sand can never be separated, our prayer for you today is that your lives together would be blended like the seven seas and may your love swirl around each other like the changing tides." This was the ceremony that I chose and we still have our sand vessels displayed on a bookcase. Since we had a beach wedding, this ceremony was just right for out theme. I found three glass containers with tops and glued shells on them. It was perfect and meaningful since we had gathered the shells together. Another way to celebrate your special day is with a butterfly or dove release. Both these ceremonies are done at the close, generally before the couple walks back down the aisle. According to American Indian legend, "If anyone desires a wish to come true they must first capture a butterfly and whisper that wish to it. Since a butterfly can make no sound, the butterfly can not reveal the wish to anyone but the Great Spirit who hears and sees all. In gratitude for giving the beautiful butterfly its freedom, the Great Spirit always grants the wish." This is believed to be the basis of the butterfly release. Of course you will need to find a source for your butterflies, there are several great sources on the internet. But you will need to be very proactive in searching for your sources, their guarantees and products. White doves are the symbol of love, peace and hope. So they are often used as part of a wedding ceremony. "That, like the doves, continues to soar. And we join in your hope for a long and happy marriage." The unity cross is like a bride and groom fitting their lives together as one.The out part represents the man, the inner part represents the woman. They fit their pieces together as one to make the cross. The Groom places the outer Cross in the beautiful wood base as the Pastor explains how God created man- Bold, Strong, the Defender of the Family yet how he is empty and incomplete without the woman. The Bride then places the more delicate cross inside of the Grooms cross as the Pastor explains how God created Woman- Delicate, multi-faceted, taking care of all of the little things that completes the man, and the -Two become One. The Bride and Groom then use the 3 golden pegs to lock the union(cross) together in the name of the Father, and the Son, and the Holy Spirit as the pastor exclaims that: What God has brought together let no man take apart. Then the Unity Cross is taken home and displayed as a Daily Reminder of your Wedding Day and the Covenant that you both have made. "The officient places three pegs into the cross locking the pieces together forever. This cross can then be displayed in the new home. 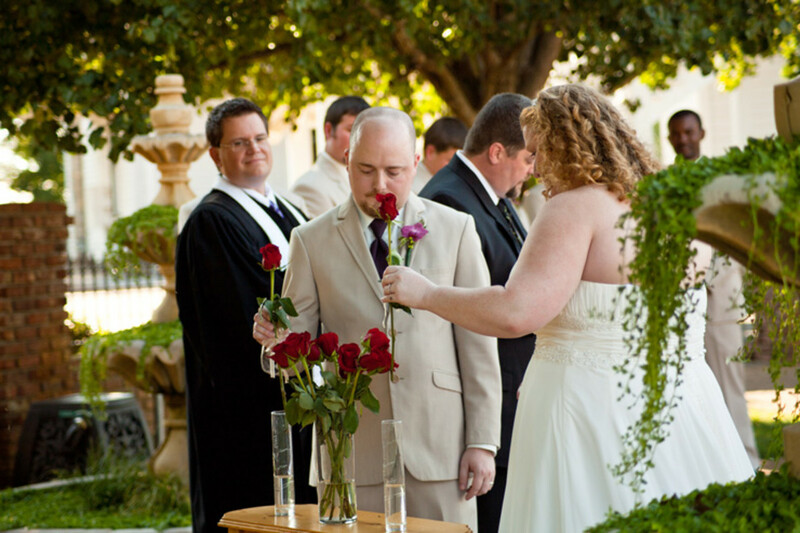 The tradition behind this ceremony is that the flower or rose is the first gift that the bride and groom give to each other. There are a couple of different versions to this unity ceremony. You can have each mother carry a small bouquet. From that bouquet, the bride and the groom can pick one flower that they carry as they start their ceremony. Those flowers are placed in a small vase to signify their unity. In another version, the Bride and Groom give each other flowers that are then given to each mother.
" Marriage is the celebration of coming together of two lives and it is a celebration of two people in love. These Roses are a promise that no matter how far away you are that you are not forgotten and that you are always in their hearts." A like ceremony is a Mexican Laso or Mexican Rosary unity ceremony. This is a tradition in Mexico, the Phillipines and in Spain. A laso or floral rope is placed over the shoulders of the Bridal couple after the exchange of vows. This is done by someone very special to the couple.The couple will wear the lasso for the rest of the ceremony. 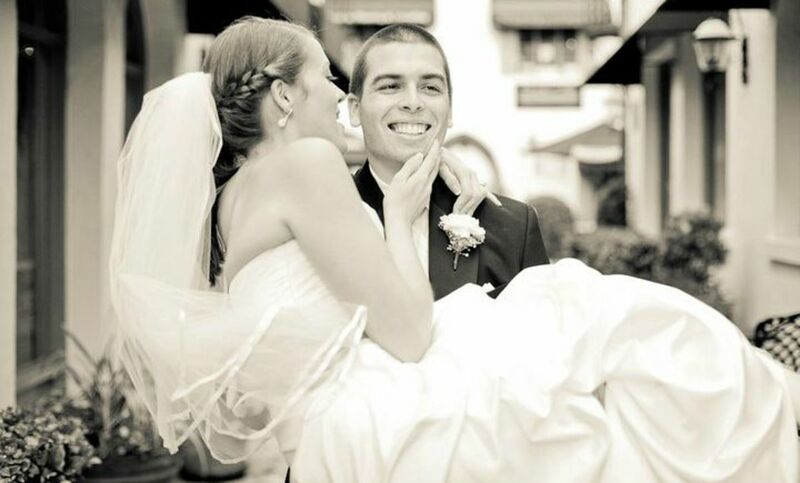 Placing the loop over the bride and groom is a symbol of their love, binding them together in the duties of marriage. The person who placed the laso will then remove it once the ceremony is finished and present it to the bride. The years of your lives are as a cup of wine poured out for you to drink. The grapes when they are pressed, give forth their good juices for the wine. Under the wine press of time, our lives give forth their labor, and honor and love. This cup contains within it the sweet wine of happiness and hope. This same cup, at times, holds the bitter wine of sorrow and despair. One who drinks deeply of life invites the full range of experience into his or her being. This cup is symbolic of the pledges you have made to one another to share together the fullness of life. As you drink from this cup, you acknowledge that your lives have become one vessel into which all your sorrows and joys, all your hopes and fears will be poured, and from which you will receive mutual sustenance. Drink now, and may the cup of your lives be sweet and full to overflowing. 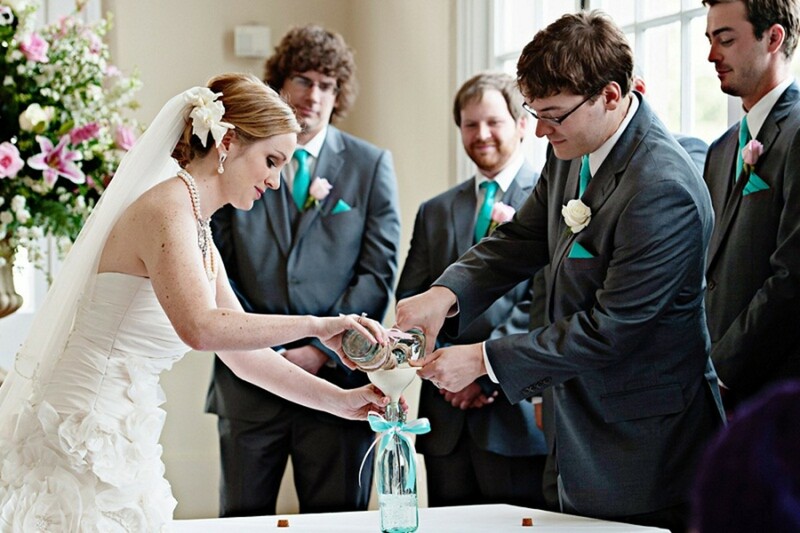 Celebrant passes goblet to Groom. He sips from it and then passes it to Bride who does likewise. This is a unique unity ceremony that is good where a bride and groom want something different to mark their joining. There are three cords that are attached to a golden ring. 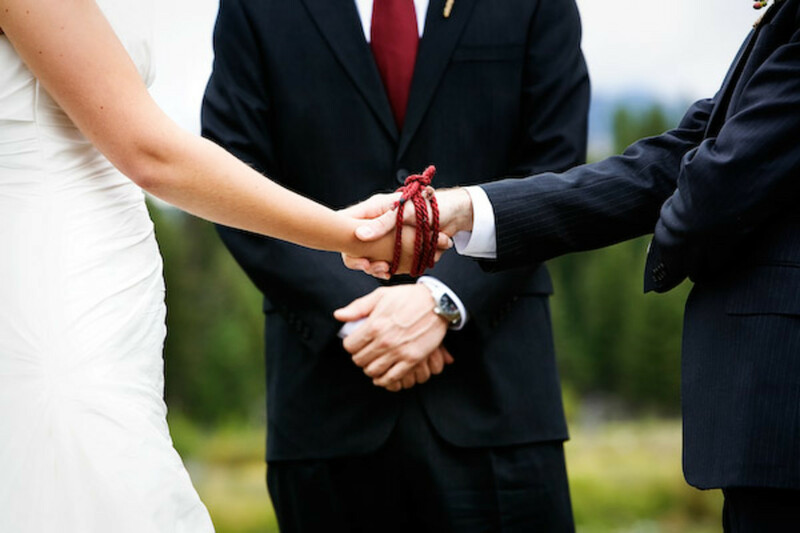 The groom holds the ring, while the bride braids the cords.Included with each Cord of Three Strands from God's Knot, there is a gold thread and rubber band to bind the ends of the strands together once you have braided the cord. You may find it easier to use the rubber band during the ceremony, and the gold thread to match the look of the cord later when you have time. Today, [name of groom] and [name of bride] have chosen to braid three strands together into a single cord. Each strand has a significant meaning. The gold strand represents God and His love. In braiding these three strands together, [name of groom] and [name of bride] have demonstrated that their marriage is more than a joining of two lives together. It is a unity with God as well. They have chosen to allow God to be at the center of their marriage, woven into every aspect of it. Ecclesiastes 4:12 reads, "Though one may be overpowered, two can defend themselves. A cord of three strands is not quickly broken." Today, [name of groom] and [name of bride] have been woven together by God as ONE in marriage! This ceremony is usually done after the exchange of rings. In the hand ceremony, the bride takes the groom's hands in hers, palms up. 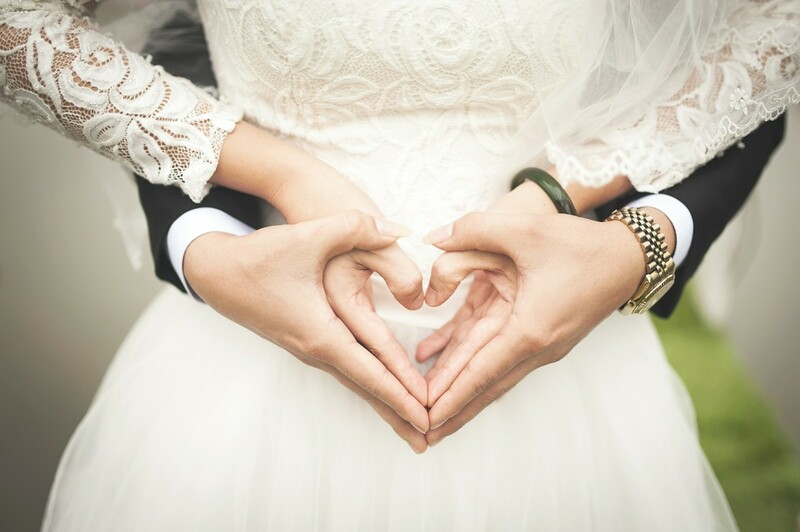 The officiant invites her to view his hands as a gift, and says: "These are the hands that will work alongside yours, as together you build your future, as together you laugh and cry, and together you share your innermost secrets and dreams." The groom then takes the bride's hands, palm side up. The officiant says, "They are the hands that will passionately love you and cherish you through the years, for a lifetime of happiness, as she promises her love and commitment to you all the days of her life." This is an old Celtic ceremony. It is also popular in Scottish culture. Eco friendly couples are doing something unique for their unity ceremony. They have a tree partially planted in a container. They add soil from two containers to finish. 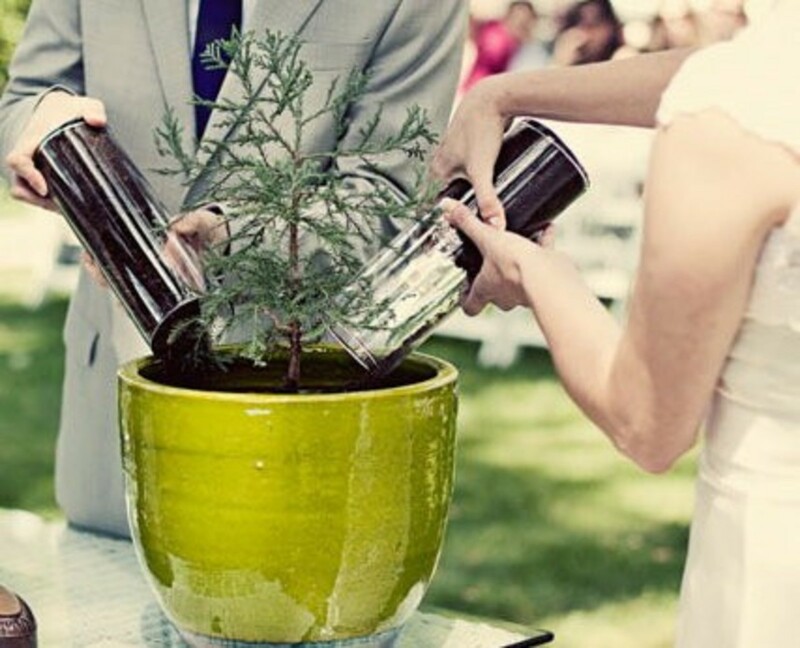 This ceremony bonds them through the seasons, ths storms of marriage,and at the same time, grows stronger every year.One idea to help your guests remember this special ceremony would be to give each guest a tree sapling to plant at their home in honor of your wedding. "May your relationship and your love for each other be like this oak you have planted. May it grow tall and strong. May it stand tall during whatever storms may enter your life, and may it come through unscathed. Like the oak, your marriage must be resilient. It must weather the challenges of life and the passage of time. And you must nurture one another as you will nurture this tree. A little nourishment is needed every day so you can each grown and reach your fullest potential—just like this tree." Tip: To keep it quick (and clean! ), the tree should be almost completely planted prior to the ceremony, with soil reserved in two small containers. During the ceremony, the bride and groom should place soil from the two containers on top of the planting, representing two individuals coming together as one. The bride and groom exchange garlands or leis.his is a common part of Indian weddings, where the ceremony is called varmala or jaimala, and represents a proposal by the bride and acceptance by the groom. It also represents their new unity, blessed by nature. 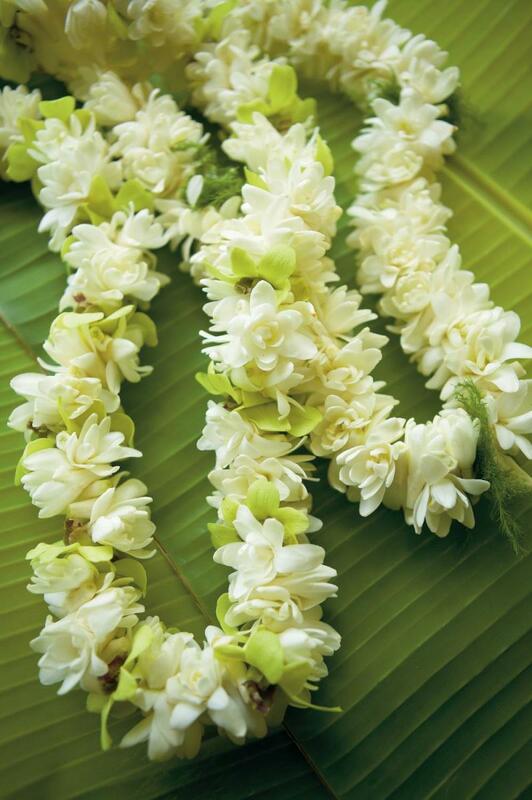 Leis represent the love and respect you have for the person you are giving it to, and the unity of the new family. 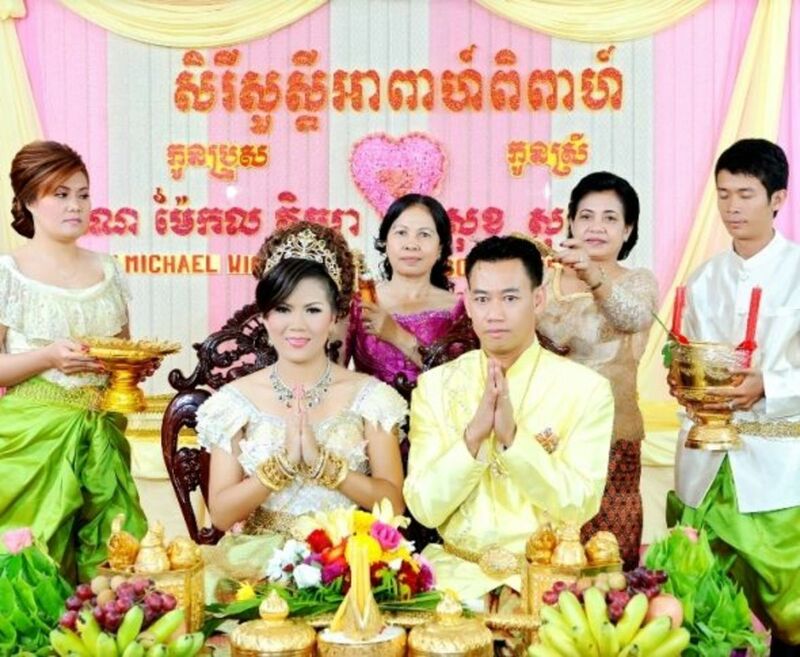 It is usually done in the beginning of the ceremony. The symbolism is similar to that of the wedding ring. The unbroken circle of the lei symbolizes eternal love. 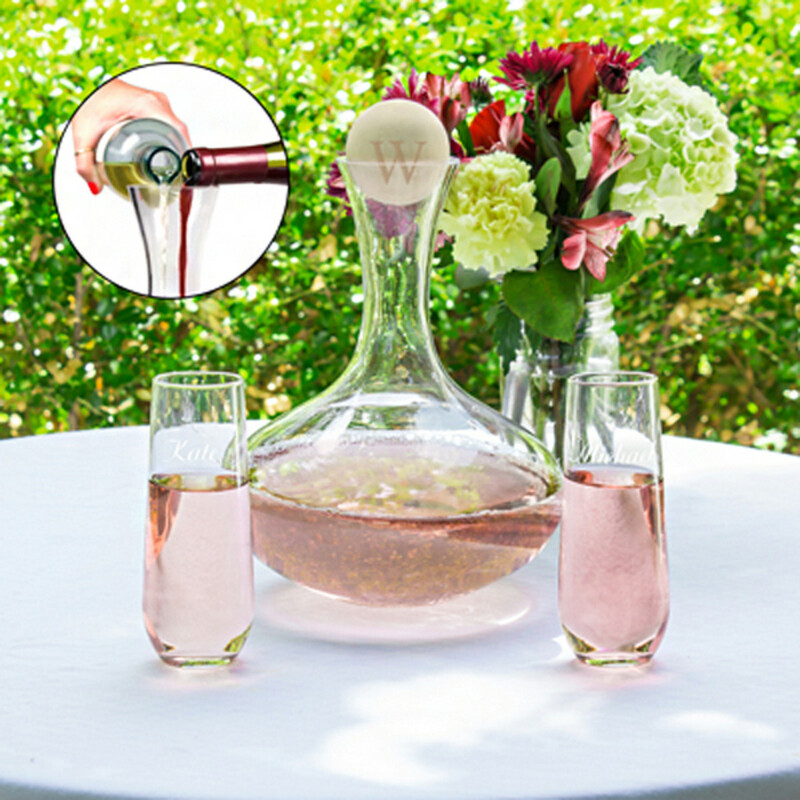 If you are having an island destination or a beach wedding, this is a perfect addition to your ceremony. You can make your own leis by stringing flowers together. This is an endearing African tradition that has become more and more popular. It is done just before a couple is presented as being married for the first time. 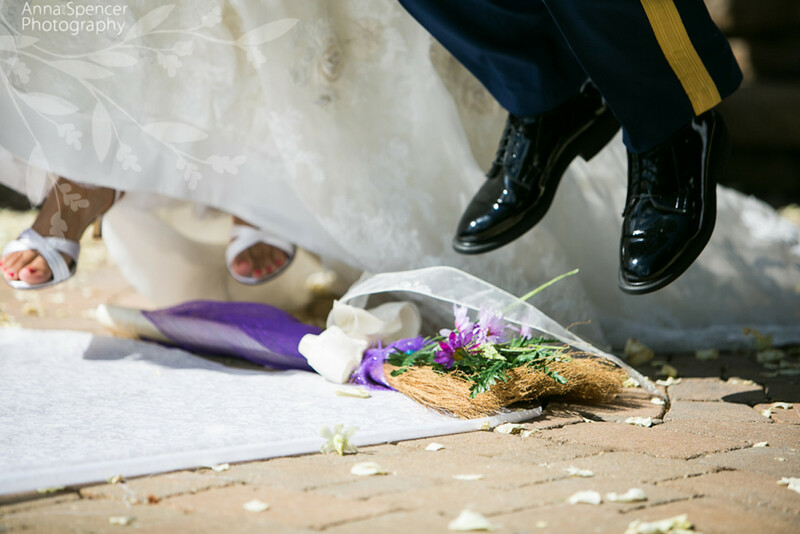 The jumping of the broom is a symbol of sweeping away of the old and welcoming the new, or a symbol of a new beginning. Decorating the broom has become a time honored tradition. You could use a simple broom that you decorate and display in your new home. Or you can use a broom loaned to you as the something borrowed from a special relative or friend. The broom is placed on the floor. The Groom takes the Brides hand and they jump over it. Or they could sweep away the old before jumping over. It is up to you how you use this time honored tradition. Check out this DIY Tree Planting Unity Ceremony! Looking for the perfect unity ceremony for your wedding? You have to see this awesome tree planting idea that we came up with + FREE sign printable! Unity Ceremony Wording - Connecticut Knotties & Nesties. Thank you so much for sharing these ideas, i have been so blessed bu them and will share them with my son and son to be bride.